I finally read Room after years of putting it off. I have a lot of trouble reading about people being kidnapped and violence in general. However, I feel this story was very well told and the subject was brilliantly treated too. The general storyline is about Ma and Jack who are trapped in a 11 x 11 foot room, with the only window being a very high skylight . The room is sound proof and perfectly self-contained, sealed off from the world. Ma has been held captive there since she was 19 years old and she is 26 when the story begins. Jack who is only five was born there and has never experienced the outside world. He only knows the outside world through watching television. He is the narrator of the story who takes us through their harrowing journey, using his special language. Jack describes his world, the room, with as much detail as a five-year old with limited vocabulary can. It isn’t difficult to get a sense of how things are. He is a very intelligent little boy who knows a lot of things for his age, but not a lot about the simple things in life, like falling rain, playing at the park, or feeling sand between his toes. In spite of the close quarters, Ma manages to adapt their activities to accommodate Jack’s growth. She is very clever with teaching and explaining things to him. She does all of this while tying to preserve his innocence and trying to keep her sanity. She doesn’t want to frighten him, by telling him too much too quickly. As the story goes on, we quickly start to understand that the room is home for Jack and a prison for Ma. Old Nick the captor, is a cold, unfeeling, obtuse person, and it’s because of those reasons Ma and Jack manage to escape. I commend Emma Donoghue on her capacity to maintain the voice of a five-year old little boy captive. This couldn’t have been easy. She cleverly chose how to express his emotions and his desires in a believable way. Towards the end of the novel, I found myself thinking that Jack was a little spoiled, but had to keep reminding myself that he’d been trapped in a room for 5 years. It’s hard not to root for this mother and son and to not think about all the recent cases we’ve heard about people in the same situation and wonder how they survived and to what end. Room is a beautifully written novel. It will grip you, break your heart, wake up your senses (especially smell), and give you a glimmer of hope in the end. I urge you all to pick it up. 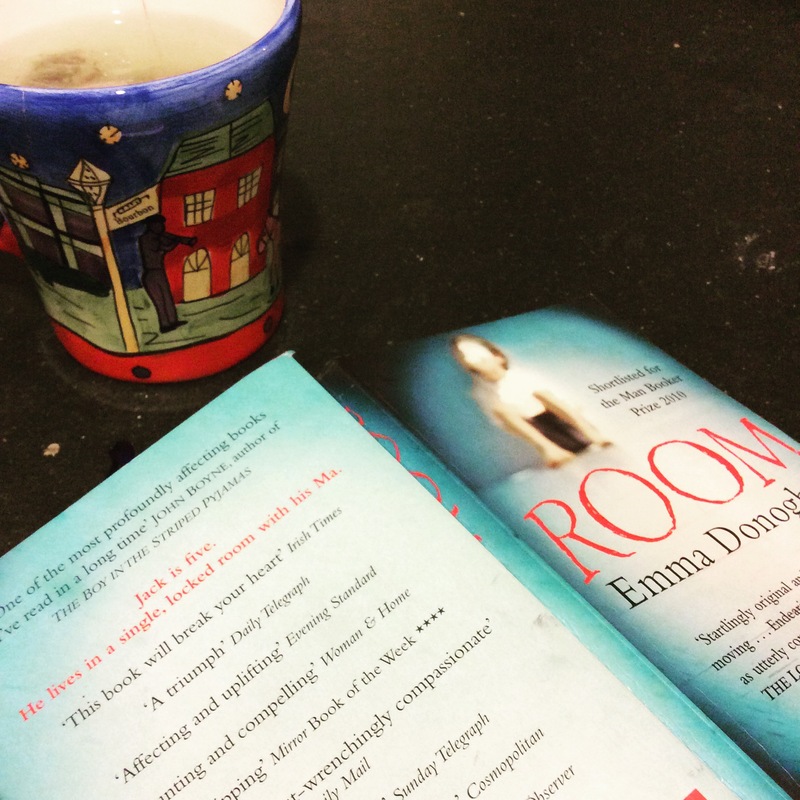 Donoghue was beat out of the Man Book Prize 2010 by Howard Jacobson’s The Finkler Question, which received a measly 2.75 stars on Goodreads, whereas Room received 3.96 stars. Regardless, I look forward to reading The Sealed Letter by Emma Donoghue, which was published in 2008 and was an Orange Prize for Fiction Longlist in 2012. I thought it would have been a hard book to right, as well, and I think she did a great job with it. It wasn’t even as creepy as I was worried it would be. Still creepy, though. I own The Sealed Letter, and hopefully will be reading it sometime soon. I also read her short story collection, Astray, which I really enjoyed. They were quick stories she wrote based on clips she had seen in historical newspapers. At the end of each story, she explains the inspiration behind it. I almost rushed through the stories just to find out the history behind them. I agree cry but not too creepy. I too worried there we be too much violence. I get fed up with that in novels. I feel at the moment it’s like some kind of trend to sell books. I hadn’t heard of this short story collection. Sounds interesting. I might check it out when I’m looking for a new short story collection. Thanks for the rec! Yes, I found it a moving book too, with an extraordinary grasp on a child’s voice and understanding. I read it quite a long time ago, and it still stays with me. I put off reading this too, for the same reasons. When I finally did, I thought it was brilliantly done. I liked The Finkler Question too, but between the two I wouldn’t hesitate to vote for Room. An odd choice by the Booker judges! That’s what I thought, not having read The Finkler Question. It just didn’t sound nearly as interesting. Glad i finally got to Room. Thanks! Glad I finally got to it. somehow, I am not too eager to read this one either, as you mention with your opening, and it’s sad and hard to imagine these kinds of people even exist! It’s sad but really worth the read. Emma Donoghue brilliant pulls it off. Will check this list. thanks! Excellent review Didi and I think I will pick it up. Thanks! i’m sure you’d find it quite good. Let me know what you think when you’re done. I’m listening to an audio version of this – almost at the end. I agree with your comment about the skill involved in using a five year old as a narrator. that’s tough enough but to also write it from a point of view of a 5 year old whose never seen the world was quite an extraordinary feat. Yes. I’m so glad I finally decided to pick it up. So worth it! Can’t believe she didn’t win the Man Booker. She really deserved it. I heard the voice of the little boy on audio is creepy. Yes or No ? I’ve been wanting to read this for ages. I’ve got it on my shelves for an embarrassingly number of years now. Five? Maybe even longer. I don’t know why I haven’t picked it up yet. I don’t think I’ve heard anything bad about this novel. Everyone seems to love it. Also, I wouldn’t even have minded if she took a more horrific way to tell the story, but the way she apparantely did it is no doubt original and challenging. Using the voice of a 5-year-old, now that’s some tough writing. And there’s always Stephen King to take the other angle 🙂 Unlike you, violence doesn’t bother me all that much. In books, that is. In real life I’d prefer it didn’t exist, but then again, who wouldn’t? Great review, Didi! I must read it this year! I just can’t keep putting it off, because I know I will adore it. And I own The Sealed Letter too, so I better get a move on. Will you read her latest release, Frog Music? I’ve got doubts about that one. Doesn’t sound like my cup of tea.